RUNNER KIT GIVEAWAY....COME SEE WHAT IS ON MY DESIGN FLOOR!! Well to be honest, I am kinda down in the tooth today. I was suppose to be flying to Amerika Samoa but as you can see, that didn't happen. Life has it turns and twist and sometimes you think you have it bad until you see someone who has it worse and so for today, I am just grateful I was allowed to live another day. Corny I know but hey, there has to be a bright side right? So last night I cut out this table runner with my binding tool, this is one of Missouri Star's tutorials. Don't you just love Batiks? I don't know if this is how it is going to go together but it gives you an idea. So this is what is on my design floor right now. I am on my husband's computer and couldn't figure out how to crop it (actually it would not allow me to). but that stack on the side is enough for another runner for one of you. First off let me say that I should take stock in Cadbury...and it has to be carmel filled to satisfy this gal. AS I was taking my online class for my serger,one of the supplies was a hemostat. Do I need a license to use one? I AIN"T Got NO College education. So what they hey....when I was in JoAnn's I purchased one (used a coupon...didn't need an education to figure out coupons are the way to go). OH MY stinking total gosh!! This thing is the best for helping you pull out those tough stitches (Yes, now you know why I needed the cadburys). I use it to help me thread my needles...yes the tweezers are great but this thing has jaws like the devil himself. Who Says You Can't Go Back? A while ago I was sitting in church listening to everyone sing, I was transported back to Amerika Samoa where the sound of their singing was pure heavenly. I was sad because I knew that I would never be back there, never see the beautfiul mountain, ocean, or my wonderful friends. Was I ever wrong. It wasn't a few weeks later that my husband comes home and says he has to go To Samoa for work. My heart soared but I also knew it was a great expense to take me. I told him I would stay home but he said, there was no way he was going without me. Then I talked to a wonderful friend who said that this chance may never pass this way again and my son told me that as well....so here I go. I know I said I would never fly again (I made myself out to be a liar). Wasn't too motivated so I just read a book. I read a book when I have a ton of things to do, what is up with that? The Tree of Life quilt needs attention and I read a book!! A friend also asked me to teach a class on "Sewing for Profit", so I am trying to come up with ideas for that. I am also trying to keep the supplies to what they can find on the island. So if any of you have suggestions and pattern (not breaking copyright) can you let me know. We leave this Thursday...not looking forward to the flight but what is new? Yesterday after super I began to load this quilt (which took me nearly all day to prep because of one issue or another). I thought...this is great....I will be able to start stitching on this tonight. Let the head banging and name calling begin. bang the head against the wall (didn't really do this but wanted to). This quilt is real important to me so I wanted it to be perfect. I contacted a few people to get all the information before I started. Yes, I have used this before but I just let my baby quilts free float. Then when it came to the top..... Sheweeee...after about an hour of frustration, I went downstairs and grabbed a book. Still irritated with myself and not wanting anyone to talk to me because some one's head was going to roll if they did. I know it was not any one's fault but I was just so mad at myself. I go online and talked to Debi and she went through what she did. Well.....as I was watching "Project Runway" the light bulb went off.... I am loading the top wrong. You can fill in the blank here. You would have thought I would have gone back and fixed it. nope...there it hung...all night. I started chastising myself. Whey do I always bite off more than I can chew? Why am I doing this, I am ..... (you fill in the blank). I didn't post these earlier because if you were not a Mormon, you would think, how arrogant but if you were to come to my lesson that I am teaching Sunday, you would know differently. SEE YOU CAN TEACH OLD DOGS NEW TRICKS!!! My husband purchased this serger for me on one of our trips from Amerika Samoa. I was only able to do one stitch. But this inquiring mind needed to know!!! I have wanted to take a serger class when we moved here to San Antonio. I wanted to learn to use my serger better. I looked into classes, wanted to go.....but just haven't. Until one day I was on Sew Cal's blogwww.sewcalgal.blogspot.com where she posted about Craftsy's classes. and then just took the plunge. I am now taking an online serger class and I can not say enough good about it. I was going to wait until I had more time....but when would that be? Now I just take about an hour a day and not ever day. So far I have done three segments....and the things I have learned. I was frustrated at first because some of her terms did not match the terms in my manual but once I figured out what she was talking about....the heavens opened up and the light bulb turned on. I am so excited....so...if there is something you want to learn...I say...........go for it!! and no, I am not affiliated with them in any way shape or form except for taking the class. I think my husband is wanting to get rid of me. . So...in the temporary room I am in the light bulbs went out and so he replaced them. He was going to put the cover back on but I wanted it off. So he went and put it in the other room. Well....the light was right above where I do all of my cutting. My son who resides in there right now said about three in the morning the cover comes crashing down and sends shards everywhere. Scared the lights out of him but he said. Mom....it was good that it happened then or you would have been hurt badly. And I think....I need to watch my back!!! Or the top of my head??? HA!!! I accused my husband of wanted to off me and he said, he he wanted to off me he wouldn't do it that way. Those of you who know him, he would just take me hunting. HA!!!!! I am having to walk around with toothpicks in my eyes. So I am trying not to blink! The Quilt N Queen is the winner of the Happy Town Fabric by Jacquelynne Steves for Henry Glass. Thanks so much to Jacquelynne for allowing me to give this wonderful fabric away and to all of you who took the time to come by and comment! I finished this octopus quilt this week. I know, another one??? I have a customer that likes to give these to her friends that are having baby girls. I love how I did the bow on this one. I have started another baby quilt and will show that when it is finished. I went and measured the dog and cat quilts to see if they met the criteria of "Happy Town" Contest and it does not....so if you are thinking of making a quilt, make sure you meet the measurement requirements and have at least 80% of the fabric "Happy Town" fabric. Had company for Valentines, made homemade rolls, lasagna, cookies......I am stuffed like a tick. Hope you all had an amazing Valentines Day!! "HAPPY TOWN FABRICS" another giveaway of these wonderful fabrics!! Let's not waste time here...the winner of the four fat quarters is "Dancing thru Threads", need your address Sharon. Thanks so much to all of you for coming by and commenting, sorry I did not respond to your comments but please know they were greatly appreciated!! Now on to round TWO I told you once I had another project done that I would do another giveaway...well...here goes....ready for the ride? and six fat quarters, maybe this will inspire someone to enter the "Quilts for Kids" contest using these "Happy Town" fabrics by Jacquelynne Steves for Henry Glass. I can not thank Jacquelynne enough for this opportunity to give away fabric and to make things with this wonderful fabric. The contest rules are on the side bar....just click and you will be transported. You and I both know that working with fabric is such a pleasure, working with good quality fabric is even more of a pleasure. So...this is what I created with her fabrics. 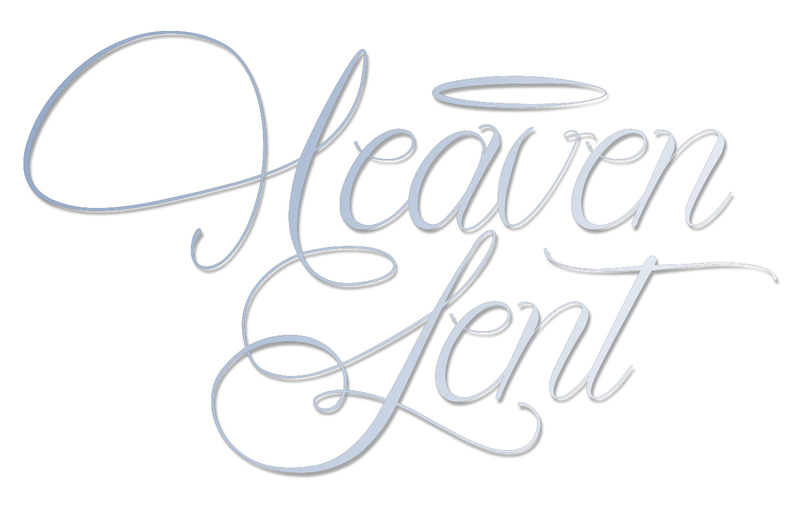 The only fabric that is not Henry Glass is the white. How stinking cute are these???? Got out my trusty Accuquilt Go cutter and just went to town. What an appropriate name for these fabrics "Happy Town"....just using them makes one happy....happy happy joy joy!! That orange is just to die for....that dog and cat fabric....ummmm ummmm good. It is all savory. As always the quilts are prettier up close and personal. I do hope that some of you will enter the "Happy Town" contest. Maybe I will just send these to them? I have not decided what I am going to do with these quilts. If you also notice on my sidebar, I have a spot for Green Fairy Quilts Charity. Every since I found out about their Charity, I have been a fan. So....these may go to them. If you have time to watch the video, it would be well worth it to do so. There is the Homefront Baby Showers,sewcalgal/; brought this to the forefront over Christmas. KaHolly did a post on the Homefront here in Texas, right here in San Antonio is a chapter. Then my friend Gene Black does a charity drive during Christmas for the teen shelter (Angel Quilts)...but I think these are too small for that. .if you want to enter the giveaway, leave a comment and please go and visit Jacquelynne, The Noble Wife. She has a newsletter that is so fun. Hope you find time to go there and sign up. As you can see by her fabrics, she is one creative person and well worth the visit. This giveaway will end Wednesday Feb. 15th. Jacquelynne sent me these awesome fabrics today... Look at this panel....can't you just see your little ones with their hot wheels playing on this? if not, then what in the world is wrong with you? These fabrics are awesome!!! More awesome than the pictures show you? 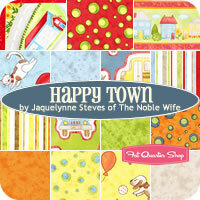 Happy Town by Jacquelynne Steves for Henry Glass & Co. I have been doing the happy dance since these have arrived this afternoon. One fabric just hung out among all the rest for me to make one of my beloved towels. I was wondering how my machine would work on micro fibre cloth and now I know...not so well. Easy quick project if you need a fast gift. AND LET IT BE SAID THAT BARB OF BEJEWELS PLAYS WELL WITH OTHERS. Since I was given this fabric and I am sharing with you, there just has to be a few hoops...sorry. 2. go to The Noble Wife, look around her blog (infact she has an awesome giveaway going on as well....and become a follower. Here are the four fat quarters....ummmm ummmmm good (trust me, I did not want to share that orange fabric.....I just didn't....just being honest here). Here is a better picture for you. I will pick a winner when I have another project done, (I already know what I am going to do)...then I will give away some more fat quarters. Have any of you seen this binding tool? If not....it is a must see. I recently purchased this tool and it is fabulous!!!! She also shows a table runner you can do with this tool but I can't seem to find it. Totally awesome. but..............here is another site that you can do the friendship braid with this tool. It is always fun to find many uses for one ruler, that way you feel like you are getting your money worth. Have a fabulous day...no sewing going on this week...maybe tomorrow...there is always tomorrow!! Are any of you familiar with Happy Town Fabric line? It was designed by Jacquelynne Steves/Henry Glass Fabrics. You can see the whole line here! You can get the fabrics at the Fat Quarter Shop as well as other local shops. The quilt you send in will go to charity and the royalties from this fabric line go Quits for Kids. This fabric is so fun I am sure your creative juices will just flow. Deadline is April 15th. Thanks to all of the wonderful comments, I enjoyed them and was pleased that some of you found the pattern worth commenting for. Linny and Agnes Bullock are the winners....I will be sending the pdf right over. The pattern can be found in my etsy shop and inchworm fabrics.... bejeweledquilts is my etsy shop name. on a side note, our bathtub was not draining properly so I was the lucky one that had the privilege of unplugging it. Much to my surprise.....threads.....white threads, brown, orange, blue...you name it....hummmmmm wonder how that happened? You don't have to put the saying on there, you just make the circle smaller. EASSSSSEEEEE and fun! Just leave a comment and I will give the pattern away to two people.